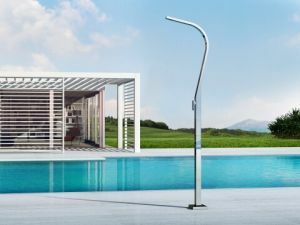 Efficiency and aesthetics in one solution. 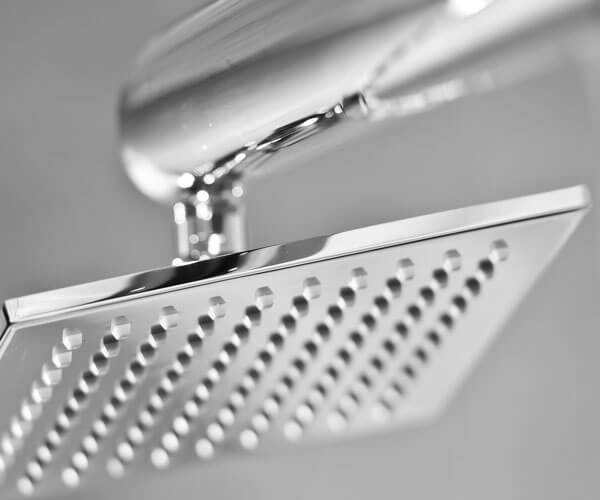 Mirror-polishing finish of our showers guarantees total resistance against limestone and weather conditions, while also providing a touch of elegance. Our steel is polished manually through a fully artisan process that is repeated in multiple sequences to ensure that all of our products carry the highest level of quality and performance. This is why our products remain clean longer than others on the market and are not affected by limestone. Steel products with mirror polishing on the market are usually created by chrome plating or mechanical polishing processes. Chrome plating is done by covering the surface with a chromium layer, which is poorly resistant to wear and tear and therefore is destined to come off after a short period of time, leaving stains and dull spots. In addition, large scale mechanical polishing generally includes only one or two steps, carried out with industrial tools which do not offer any guarantee of durability over time. For this reason, Inoxstyle exclusively uses manual and multiple polishing, following the highest standards of nautical-grade quality. 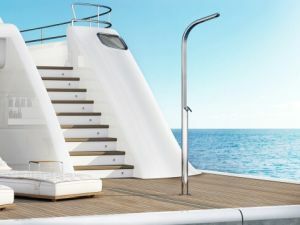 Beautiful, smooth surfaces with soft and sinuous lines: our polishing techniques are the same ones that are used in luxury yachts to create mirrored surfaces that are resistant to limestone scales and oxidation, typical of aggressive environments like the sea. Inoxstyle products are synonymous with quality, elegance and efficiency, and are known for their long-lasting durability and resistance to harsh weather conditions. 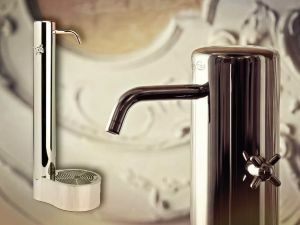 Dank der Qualität unserer Materialien sind wir im Stande eine zehnjährige Rostgarantie für unsere Duschkörper zu leisten. Die Sorgfalt unserer Handwerker beim Schweißen und Polieren garantiert eine sehr lange Korrosionsbeständigkeit. 10 Jahre Garantie gegen Korrosion auf unsere Duschkörper.